Allows you to apply force in a vacuum. This 24″ X 24″ X 24″ vacuum chamber cube is stainless steel and is therefore durable and has the ability to sustain positive pressure and vacuum. 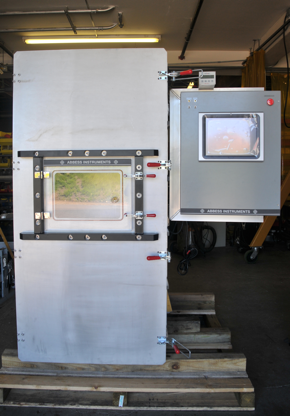 These testing capabilities and its the duplex outlet mounted inside the vacuum chamber with a switch control on the outside make it perfect for process testing. Abbess is a member of ASTM, AVS (American Vacuum Society), and the Cryogenic Society of America. Use your credit card or prepay and get expedited fabrication and delivery. The Vacuum Chamber is empty. The Vacuum Chamber and other system components are clean and dry. All system components, including those not supplied by Abbess, are appropriate for the system and are functioning properly. The specifications are not impacted by the properties of your product. If you require performance specifications for conditions other than those listed above, it is vital that you make this known to Abbess Instruments in writing. Generally Abbess Instruments recommends choosing chamber and pumping system qualities capable of achieving a theoretical vacuum at least an order of magnitude better than the desired operational vacuum. 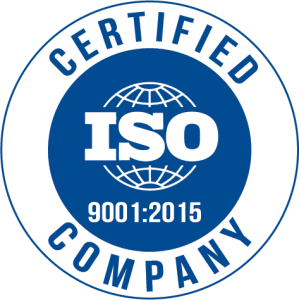 It is to be noted that a specification described as '10-5 Torr' is a range, and means the clean, empty, dry chamber system is capable of reaching some undetermined value between 1.0x10-5 and 9.9x10-5 Torr: The (clean, empty, dry) chamber is deemed compliant whether its As-Built base vacuum is 1.0x10-5 Torr or 9.9x10-5 Torr. It does not mean that the chamber is guaranteed to reach every level within that range. Abbess Instruments and Systems, Inc. Abbess is a trademark of Abbess Instruments and Systems, Inc.